Recently, the sensitivity of faecal microbiological cultures for detecting cholera has come under question – could a new vaccine study determine sensitivity of cholera vaccination? 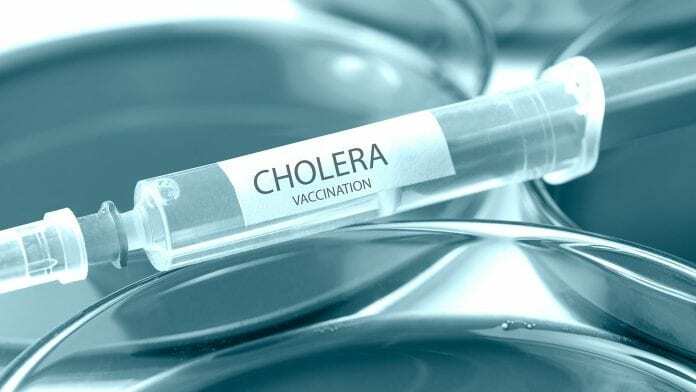 Reported in PLOS Neglected Tropical Diseases, researchers investigated this claim in a vaccine study using a ‘vaccine probe’ analysis of a cholera vaccination, which included a completed cholera vaccine cluster randomised trial to support the sensitivity of conventional microbiological culture for cholera. What do you know about cholera and cholera vaccination? An estimated 2.9 million cases and 95,000 deaths occur each year due to cholera, and microbiological cultures of stools are considered the gold standard for diagnosing cholera. However, a recent study conducted in Bangladesh, found that conventional cultures identified only 66% of patients who were found to have cholera by other measures. This suggests that cholera globally may be widely underestimated. John D. Clemens, of the International Centre for Diarrhoeal Disease Research, Bangladesh, and colleagues from both Korea and the US, re-analysed the data of a phase III trial for a killed oral cholera vaccine (OCV) conducted in Bangladesh in 1985. 50,779 people received at least two complete doses of either OCV or placebo in the trial. Furthermore, the researchers reasoned that if the culture was not sensitive for cholera, the OCV should reduce cases of acute watery diarrhoea (AWD) which were negative for Vibrio cholerae, the bacteria causing cholera. During two years of follow-up, 791 first episodes of AWD were reported and tested using microbiological culture; 365 of those were culture-positive for Vibrio cholerae. Of the culture-negative cases, 215 occurred in the group that received the OCV and 211 in the group that received a placebo. Were there any significant differences? There was no statistically significant difference in culture-negative AWD between those that received a vaccine and those that received a placebo. “We did not find any evidence of protection, implying that the culture diagnostics used for cholera detection were reliable,” the researchers say. Have we found a new way of removing toxic mercury from contaminated water supply?